I love sharing food diaries, but today I though I would show you what goes into one of my favourite healthy dishes. I don't always use these vegetables, so use what combinations you like or have on hand. I also don't always add an egg, it depends if I feel like it or if I have it in the fridge. It's super healthy and doesn't require any skills, the only thing that takes long is cooking the quinoa. Vegetables quinoa is a great alternative to other side dishes or even main meals. Both the egg and the quinoa offer protein, green vegetables help prevent cancer, are high in vitamin B and K, garlic is anti fungal, anti bacterial and anti viral, while ginger and red onion reduce inflammation and supports the immunity system. You can use normal or red quinoa instead of the black one. 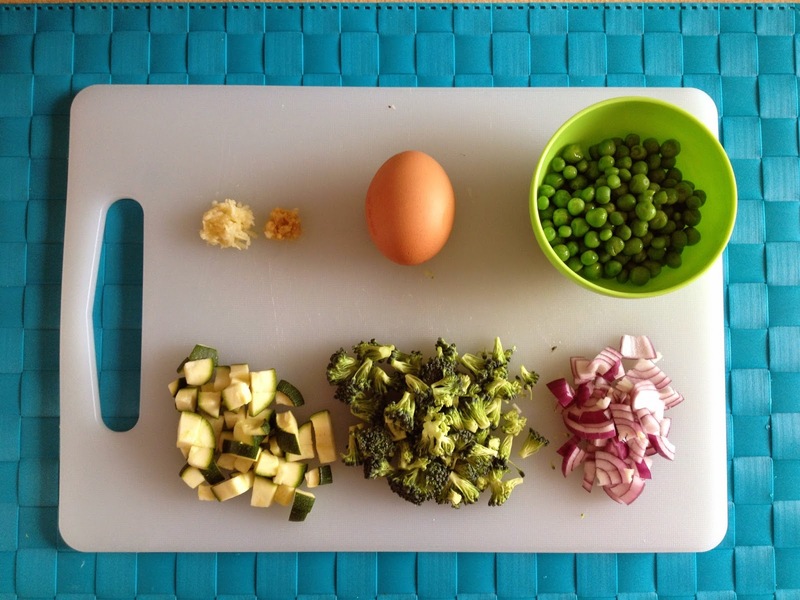 From Left to Right : grated garlic, grated ginger, an egg, peas, diced zucchini, chopped broccoli and chopped onion. Before you start cooking the vegetables check your quinoa for cooking time and start on that. I use black quinoa which takes between 30-40 minutes to cook. The vegetables only need 5 minutes since they are diced into small pieces. 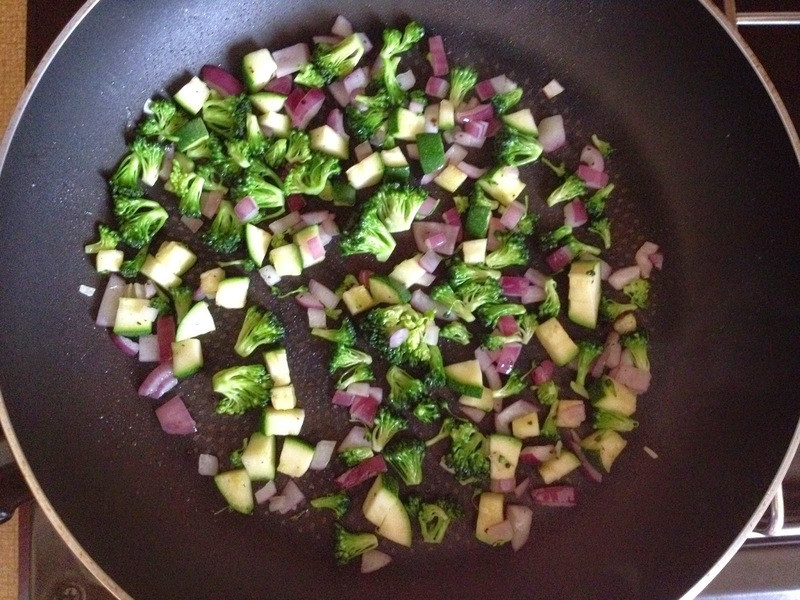 Pan fry the onion, zucchini and broccoli with less than a teaspoon of olive oil while you are cooking the quinoa and peas in some salted boiling water. Before adding the quinoa and peas, mix in your garlic and ginger and stir constantly. You don't want to burn them, you just want to take the raw edge off. Add you quinoa and peas and add your egg. I like to create a circle in the middle of the pan in which I put the egg and after it's half cooked , mix it with everything else. Add salt, pepper to taste and finish it with some black sesame seeds. There are many variations of cooking quinoa, this just happens to be the way I like it. It isn't the right or the wrong way, it's just my way. I'm not a cook, I just like cooking. I really really love broccoli! Could eat it every day! Thats an amzing recipe! Gonna try it tomorrow, today we will go dinner with friends.